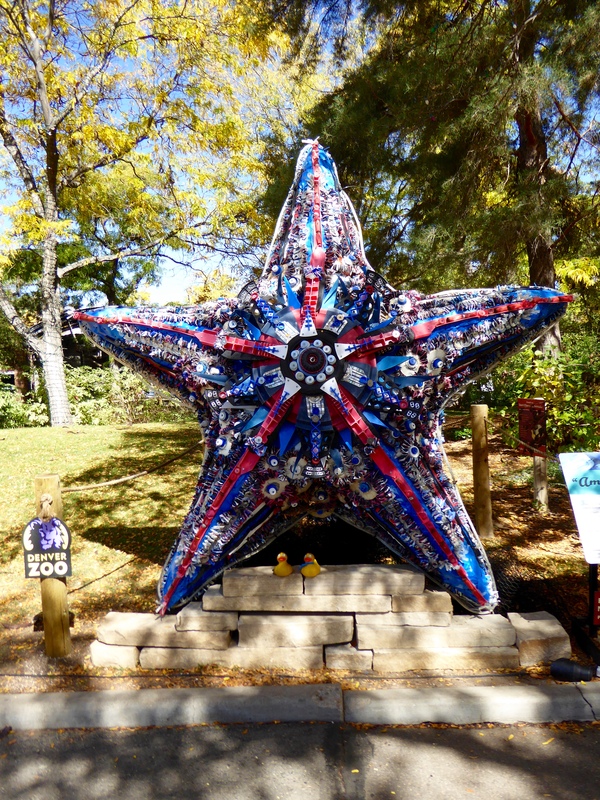 I, Zeb the Duck, and Soapy Smith Duck, visited the Denver Zoo. 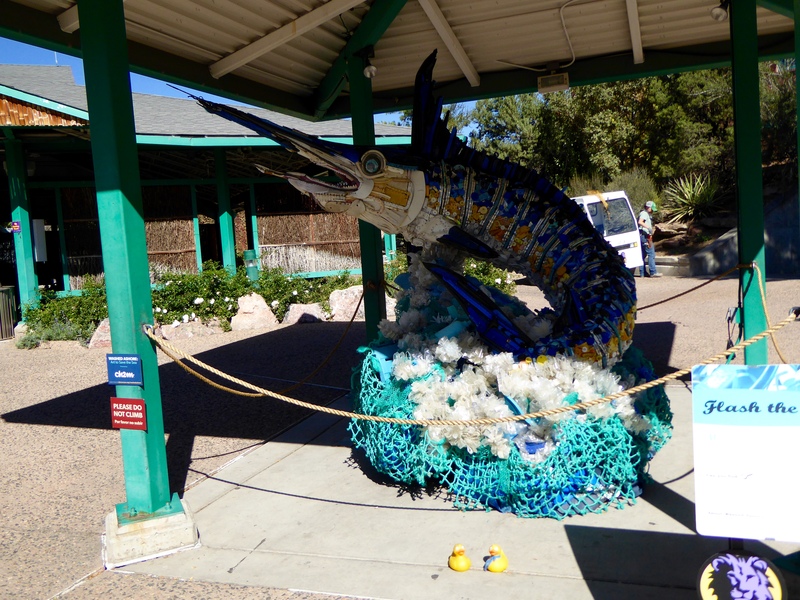 Washed Ashore, a non profit organization, has displayed 15 works of art at our zoo. 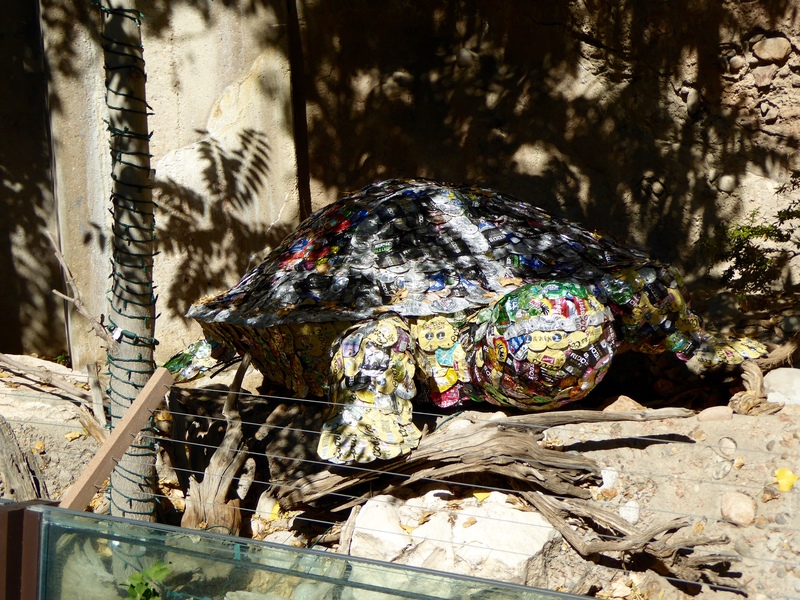 These works of art are all completely made from garbage collected from beaches. Washed Ashore’s mission is the use the arts to educate a global audience about plastic pollution in oceans and waterways and to spark positive changes in consumer habits. This is Lidia The Seal. Lidia is one of 15 works on display. Meet Rufus the Triggerfish. There are 40 species of triggerfish swimming in oceans throughout the world. This “American Star” was created from red, white and blue to bring attention to plastics used in Independence Day celebrations (July 4) in the United States. Nora the Salmon is big. We like this turtle, also. One of the favorites is See More the Sea Lion Pup. Sea Lions are curious and often get tangled in trash. Chompers the Shark reminds us that sharks try to eat most of what they encounter. Scientists say that tiger sharks have been found with tires, license plates and plastic debris in their stomachs. Humans, stop feeding your trash to animals! 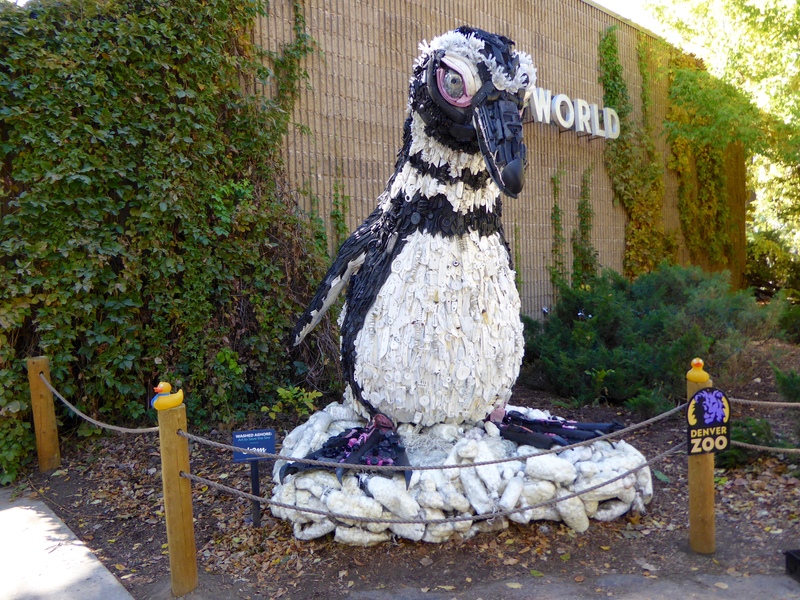 Gertrude the Penguin sits in front of the Denver Zoo’s Bird World. Gertrude even had an older model cell phone on her beak. Natasha the Turtle, made of garbage, is laying on a pile of garbage. Sea turtle have been swimming through the world’s oceans for 100 million years. A large threat to sea turtles is plastic bags. Plastic bags often are mistaken for jellyfish and are eaten by turtles. 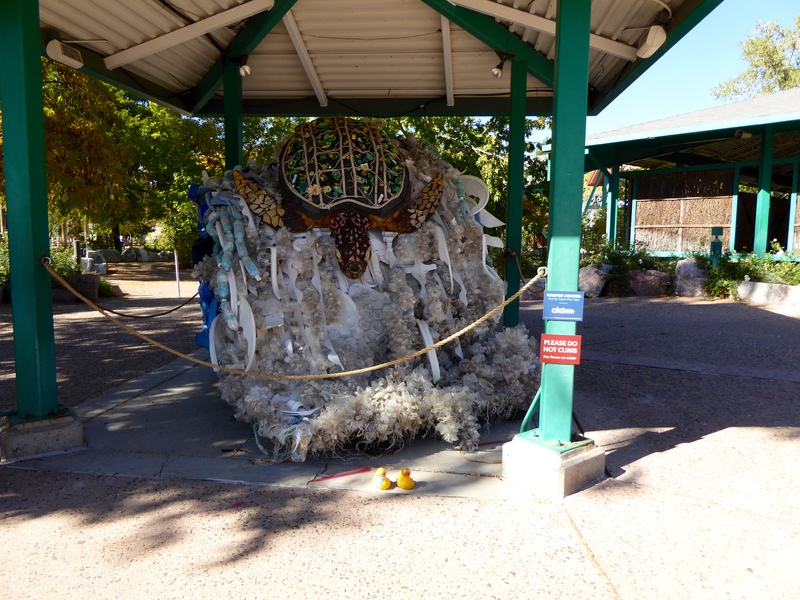 Each sculpture lists some of the trash used. We saw chairs, coolers, sport balls, umbrella handles, flip flop shoes, toys and much more. Plastic water bottles, plastic lids and plastic bags were so common. Humans, try to do better. And, if you are on the beach and see trash, pick it up and put it in trash containers. 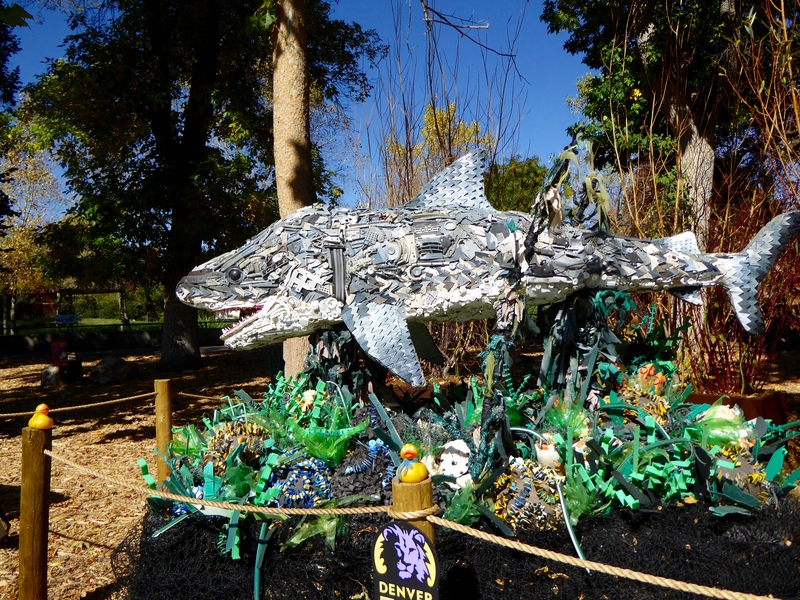 Flash the Marlin is the last work of art from garbage that we will show you today. Marlin even has toothbrushes, beer cans and a toilet seat. 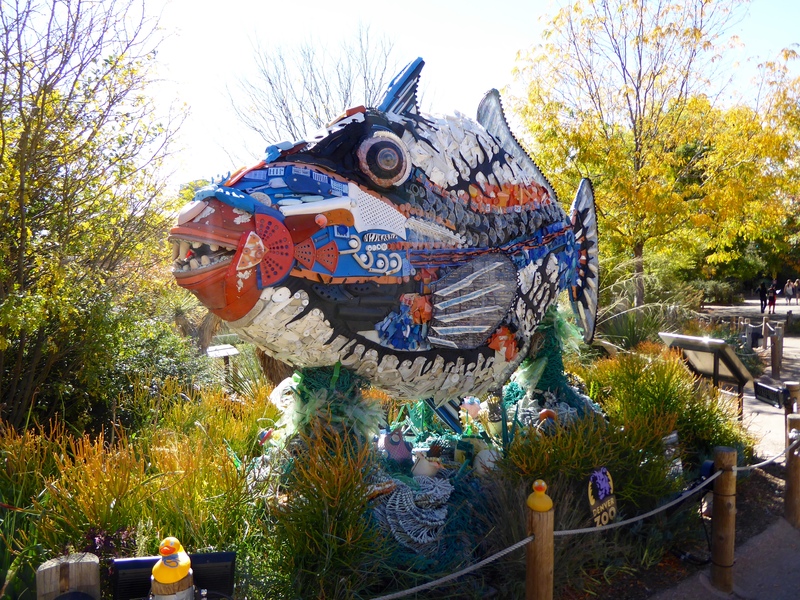 There are more sculptures at the zoo and we hope you go to see them. They are interesting and great to see, but remember where all these building materials were found. Washed Ashore has 54 works of art that travel around the country to teach ducks and humans to be careful. 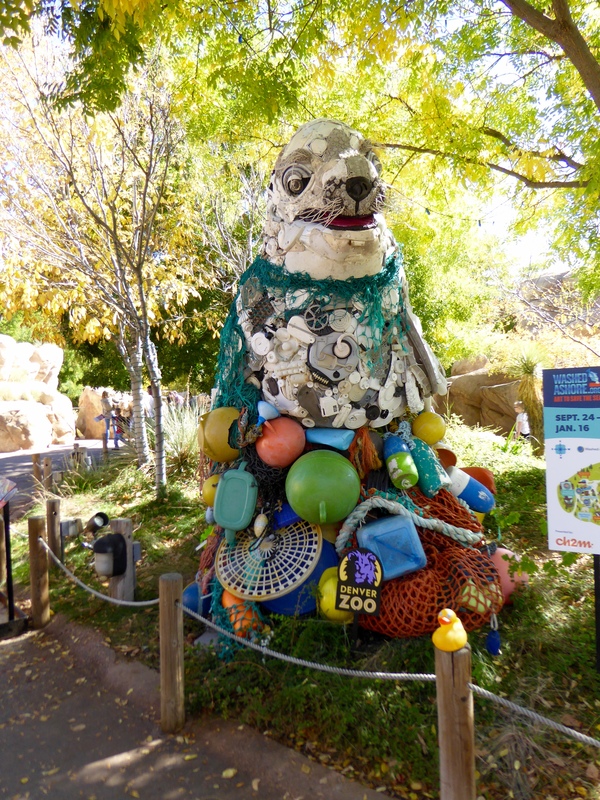 For more information visit http://www.WashedAshore.org This display will be at the Denver Zoo until January 16, 2017. 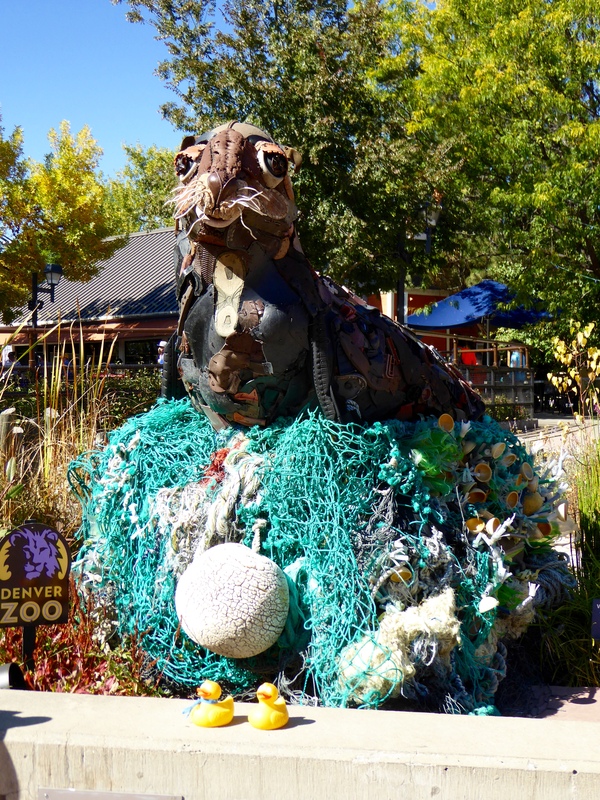 We hope you go to the Denver Zoo to see the animals and the Washed Ashore exhibits. 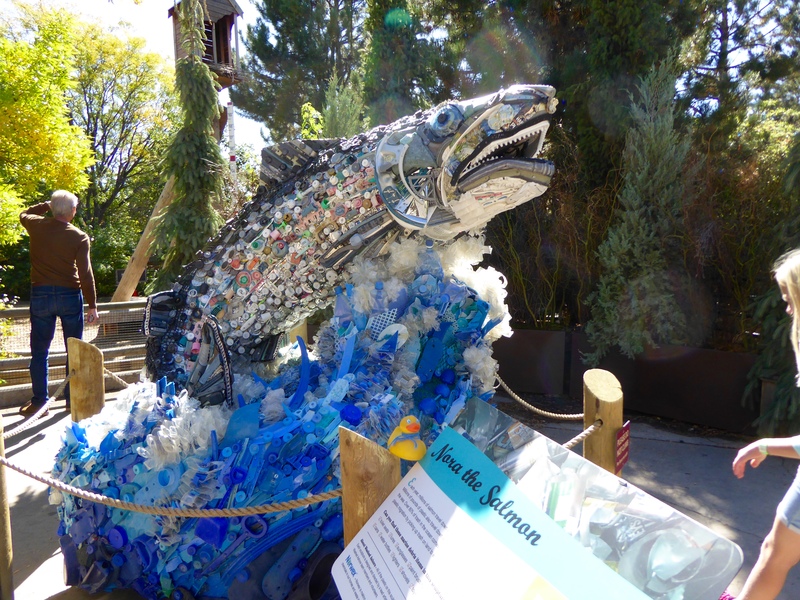 This entry was posted in Colorado, Uncategorized and tagged Art to Save the Sea, Colorado Traveling Ducks, Denver Zoo, sculptures from garbage, Washed Ashore. Bookmark the permalink. Thanks for reading and commenting. Hope you visit zoo and see this stuff. It was fun to see and read explanations. These sculptures are beautiful but it’s sad to think that all this rubbish was in our oceans. I guess all we can do is make sure we don’t personally add to the mess. I agree. Beautiful but too much trash in oceans. We and our friends do our best to never add to the trash, and appreciate the effort by Washed Ashore to clean the beaches, make sculptures and teach us all. Thanks for reading and commenting.